Forget the tree that grows in Brooklyn. This ecologist wants to plant a forest in Times Square. Meet the mad scientists of Chicago’s urban renewal movement. How a Kickstarter project helped create the hippest new hangout in San Diego. 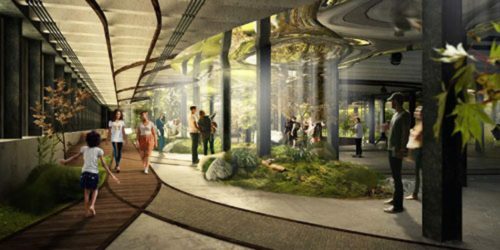 The Lowline is creating an urban oasis in an unexpected place. One day you might be able to swim in the East River—and not regret it later. Part art installation and part social experiment, these gold shipping containers are wired and ready to recapture the random intimacy we’ve lost. The man behind LCD Soundsystem wants to make your commute sound sweeter.